The Wodapalooza Online Challenge And Qualifier Dates! Summer 2018 isn’t even officially here, but already the fitness community can look forward to 2019 with today’s release of the dates for The Wodapalooza Online Challenge and Qualifier. Wodapalooza brings out a monster swell of the fitness community each January — with 25,000 spectators and 1,500 athletes representing countries all over the world, Miami in the new year is the place to be for fans, beginners, and fitness stars alike. 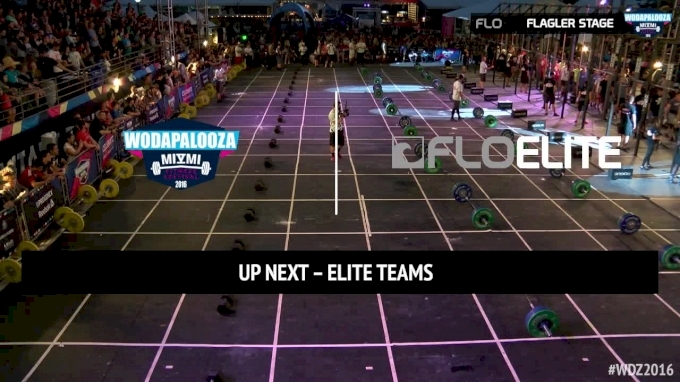 With 18 total divisions for both men and women combined between the individual and team competitions, Wodapalooza truly has something for everyone — competing or otherwise. If you’re a fan, WZA brings out a who’s who of elite names to show everyone how it’s done. Last year’s female individual winner — Katrin Davidsdottir — put on a show over the course of 12 grueling workouts in Miami by winning three events and beating runner-up Kari Pearce by 86 points. Of course, no surprise there, as Davidsdottir holds two Fittest Woman on Earth crowns. A few months remain before qualifying begins, so let’s take a look back at some of the most memorable moments from WZA’s past. Noah Ohlsen completes the individual trifecta in 2017. After demonstrating his dominance at Wodapalooza — not once, not twice, but three times in the individual bracket — CrossFit superstar Noah Ohlsen decided to give another athlete a chance to top the individual podium by competing in the team competition this past January. Ohlsen’s CrossFit Passion squad came up just four points short of winning the team competition in 2018, but his three individual titles still make the 27-year-old a legend on South Beach. Katrin Davidsdottir almost didn’t dominate at 2018 WZA. The Icelandic fitness icon had a last minute change of heart in January, deciding to enter Wodapalooza with just hours to spare. The hasty decision paid off; Davidsdottir won the first event and never looked back en route to her dominant win. The 25-year-old has kept right on rolling this season, and she’ll enter August’s CrossFit Games as a favorite after throwing down the top performance at Regionals. Games’ champs Rich Froning, Graham Holmberg, and Ben Smith duke it out in 2016 WZA team competition. It had been nearly three years since the legendary trio of Rich Froning, Graham Holmberg, and Ben Smith has shared a floor together, but 2016 Wodapalooza brought them back together in an epic reunion in Miami. With each former Fittest Man on Earth competing for separate teams, the double or nothing final event was a thrilling cap on the team competition. Ultimately, none of three walked away as a team champion — that honor went to Brent Fikowski’s Athletigen squad — but it was certainly incredible to see so much talent on the floor at once outside of the Games.